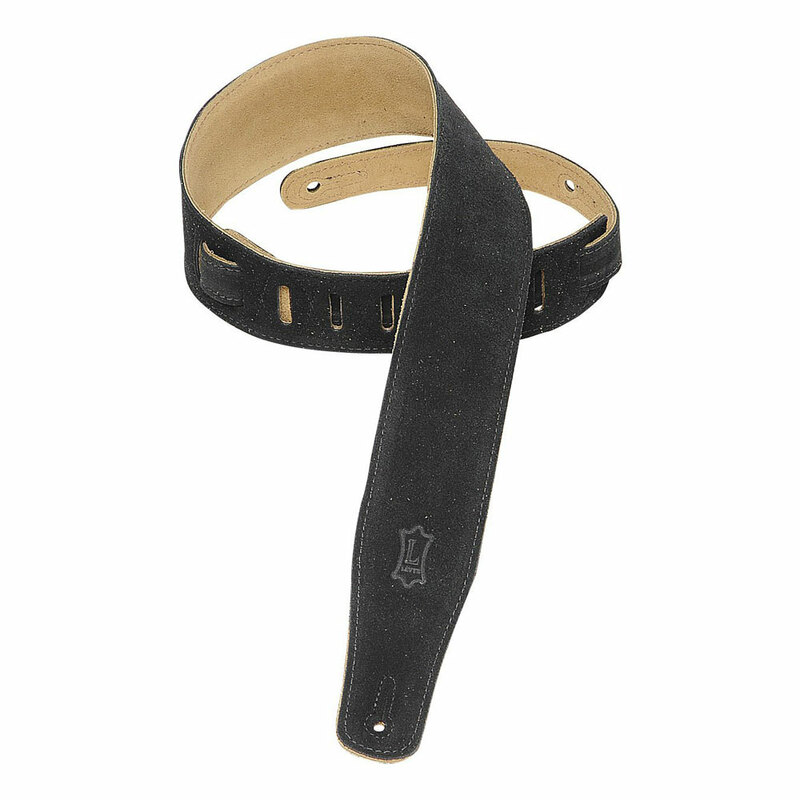 The Levy's MS26 is a premium quality, comfortable, full suede leather guitar strap. It is 2.5" wide and can be adjusted from 97 cm to 130 cm (38" to 51"). With reinforcing stiching around all openings and polyester reinforcing tabs between leather layers around the strap button holes. Suitable for use with strap locks and comes with a lace for tying on to an acoustic headstock.